Dan joined the law firm of Brown & Goodkin in January, 2004. 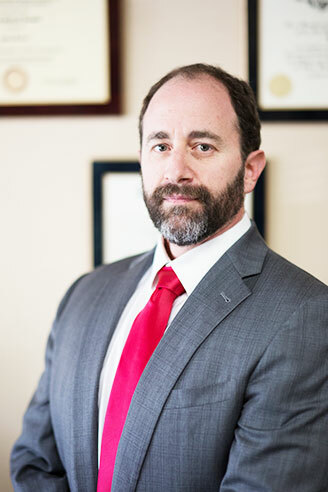 He is a member of the California State Bar, and earned his Juris Doctor from Loyola Law School, Los Angeles in 1999. He has a BA from UCLA. Before becoming a lawyer, Dan was a law clerk for our office. Prior to becoming a federal employment lawyer, Dan was the Director of Business Development and Business Affairs for a web-based music licensing startup, as well as a computer solutions support consultant for medical and legal professionals. Dan is a native of Southern California, and has lived here his whole life, with the exception of a few years in England, where he attended schools in Reading and Blackpool. Dan is active in the community, using his Advanced Class FCC License to help the Sheriff’s Department with emergency communications – he was accepted as member of the LA County Disaster Communications Service at age 10, the youngest person to ever be accepted to that organization. He has received commendations from the Sheriff’s department for his assistance during brush fires and other emergencies. In the last two years Dan has completed his Spartan Trifecta and the Tough Mudder challenge twice, run 4 half-marathons. He is an avid fan of the LA Kings as well as the Dodgers, Angels and Liverpool FC.